Can this giraffe be any more adorable? It's huge. My son saw me taking this out of the box and he literally grabbed it out of my hands and hugged it. He has been carrying it around with him everywhere. He even sleeps with her in his bed. 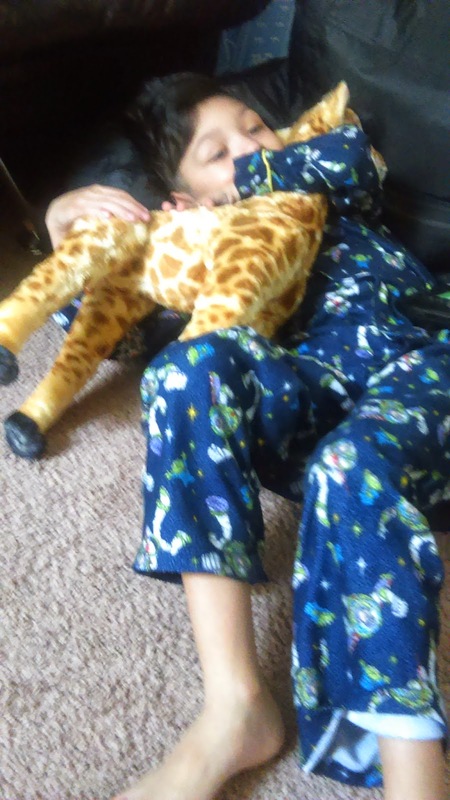 He named her Gina the Giraffe. It is made out of decent quality materials and can stand alone. I think there are metal rods in her lower body and legs because she is really sturdy when she stands. 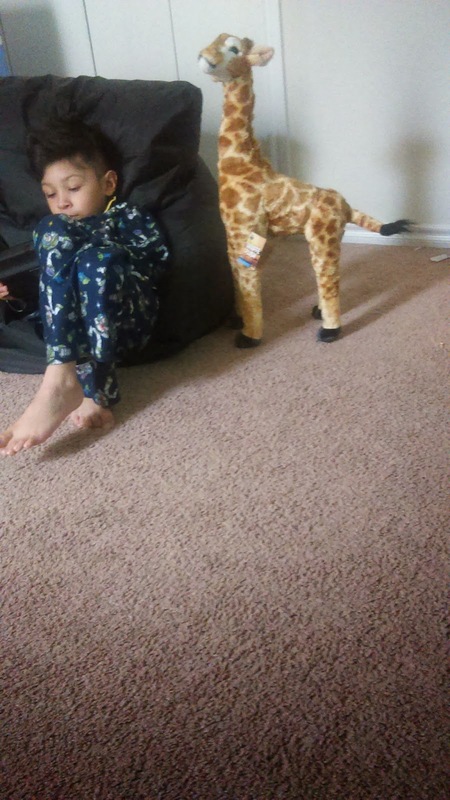 Now, not that I would recommend that all kids do this, but I have walked in a number of times and seen my 6 yr old boy sitting on it and watching his t.v. shows. Cute. He weighs 41 pounds, so I honestly don't know if it can support much more weight than that, but he sits on it and it doesn't seem to be crushing from his weight or anything. 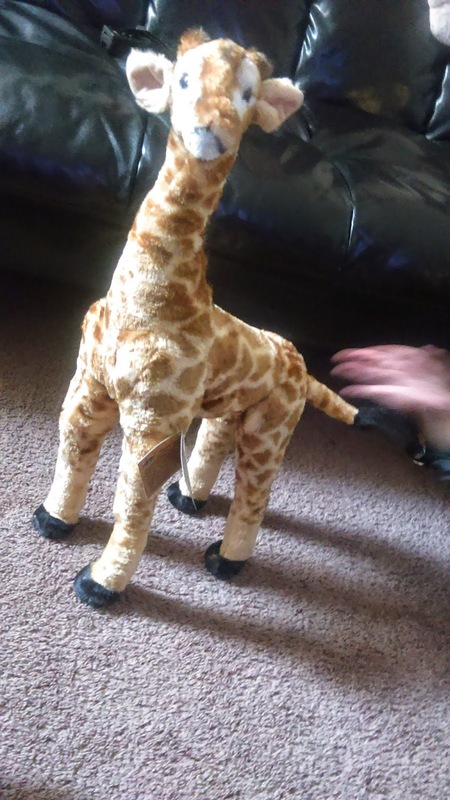 This is one of my favorite plush animal toys that I have ever given him. This is a perfect gift for animal lovers and kids. Love, love, love it. 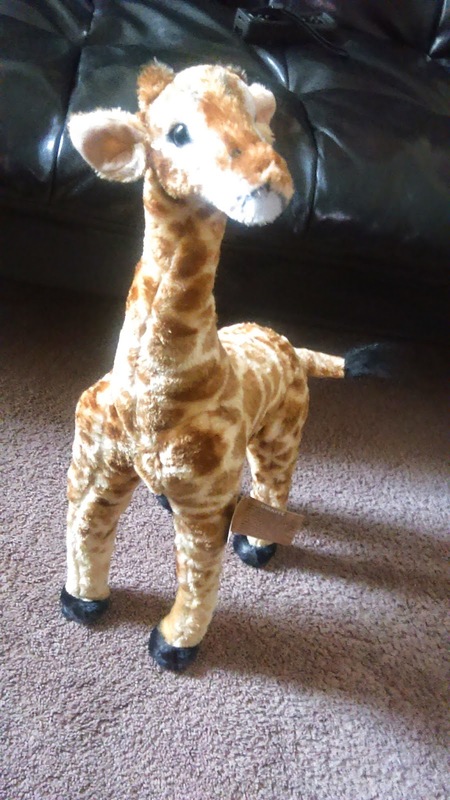 This adorable Toy Plush 2 ft Giraffe is available for purchase on Amazon.